Sadly all of our Founders are now deceased. 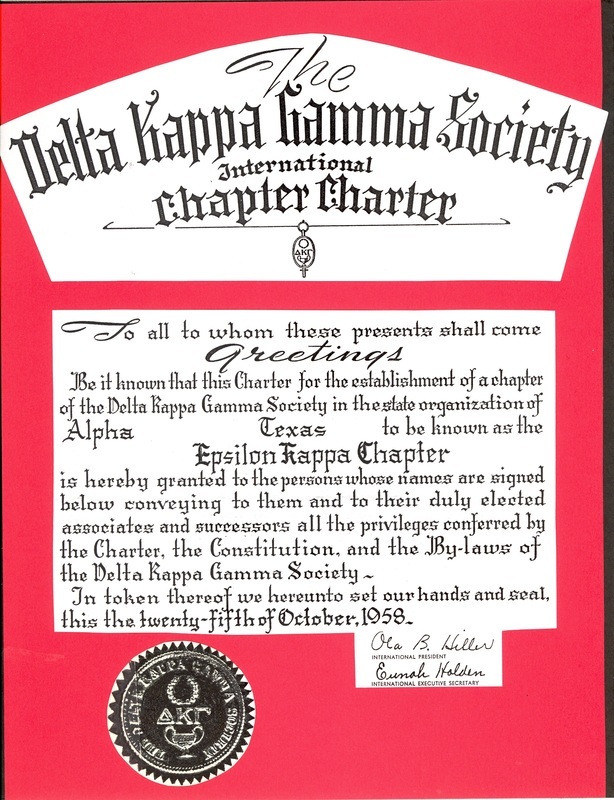 Epsilon Kappa received its name because of its sequential position among Texas chapters. The first 24 chapters received a single Greek letter name, in alphabetical order; the next 24 chapters comprised the “Alpha family,” whose names all had Alpha as the first part of their title, and one of the 24 letters as the second half. Epsilon Kappa belongs to the 5th “family” the “Epsilon family” and is the 10th, or Kappa, member of that “family”. 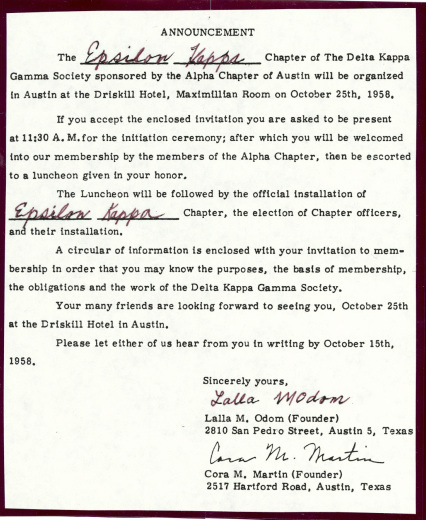 The first Invitation to Epsilon Kappa Chapter of the Delta Kappa Gamma Society sponsored by the Alpha Chapter of Austin was organized in Austin, Texas at the Driskill Hotel, in the Maximilian Room on October 25th, 1958.